Incredible Craftsmanship, Brilliant Projection! 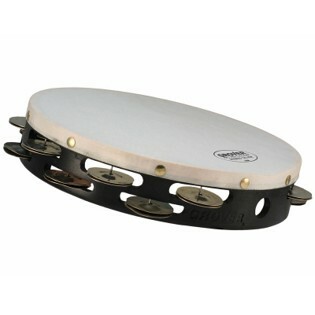 I absolutely recommend this tambourine to every percussionist. I purchased one recently and first used it during a rehearsal of our orchestra. We played Carmen, so I thought I'd try my new tambourine. Not only did it sound great, but the conductor actually made a positive comment on the sound. It played very full and was extremely articulate during the pianissimo passages. After I heard this model played in a clinic, I checked it out at PASIC. I tried all the models at PASIC and picked up this new model. It has a really FULL sound and plays incredibly soft with clear articulation.